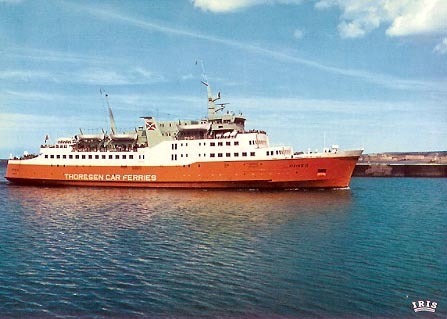 This page is devoted to postcards and photographs of the Thoresen ferry Viking II. Her sisterships were Viking I and Viking III. Viking II was built in 1964 by Kaldnes Mekaniske Verksted A/S, Tönsberg, Norway, for Otto Thoresen for service between Southampton and Cherbourg. During the winter of 1965, she was chartered to Atlantic Steam Navigation for services from Tilbury to Rotterdam and Antwerp. 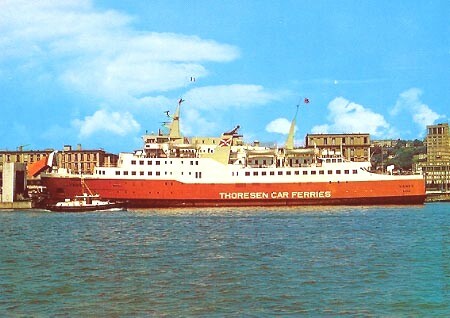 In 1968, Thoresen merged with Townsend to form Townsend-Thoresen Car Ferries. 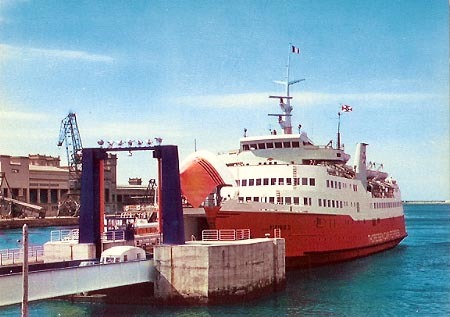 Viking II worked regular charters for other companies such as Lion Ferry and Stena Line etc. In 1976 Viking II was sold to Sealink British Rail and renamed Earl William for services from Portsmouth and Weymouth to the Channel Islands and Cherbourg. 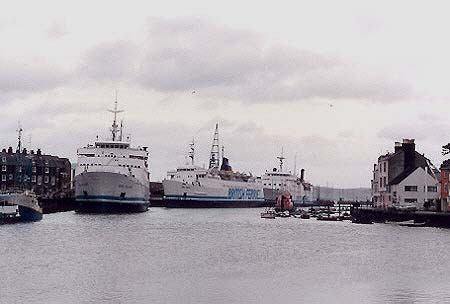 In 1984, Sealink ownership passed to Sea Containers, and in 1985 she moved to Weymouth-Channel islands routes. 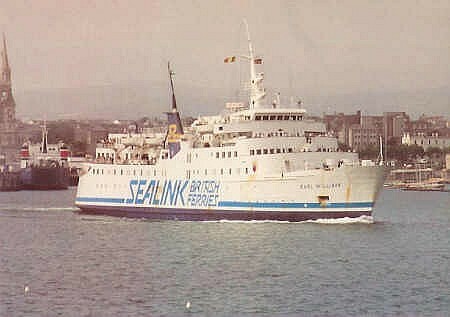 Competition from Channel Island Ferries (CIF) began at this time, ending the Sealink monopoly. 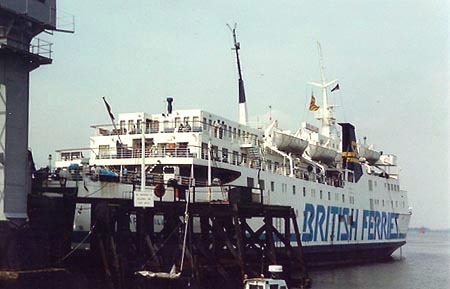 CIF rapidly gained market share, and it was announced that a joint service as British Channel Island Ferries would run in 1986. This never occurred due to strike action by Sealink crews. Earl William initially blocked the linkspan in St Peter Port (Guernsey), but she later moved to Weymouth. In 1987 Earl William was laid up at Harwich, used as a detention centre for "illegal" immigrants. On the night of October 16/17th Britain was hit by a hurricane, and Earl William broke her 22 mooring ropes and ran ashore. The detainees were removed and housed elsewhere, whilst Earl William was repaired for a return to service. In 1988 Earl William opened a new, but short-lived, service from Liverpool to Dun Laoghaire. 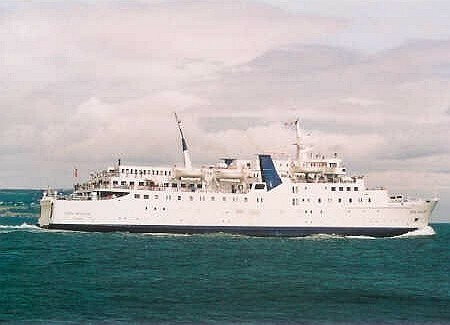 She was laid up in 1990, but reappeared for occasional use on Folkestone-Boulogne and Holyhead-Dun Laoghaire. 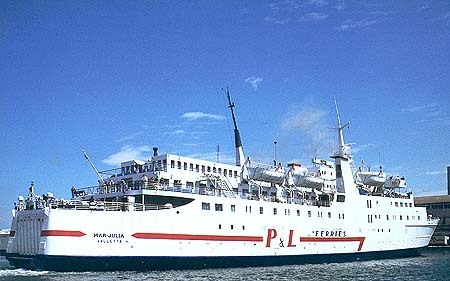 In 1992 she was sold to Neptunus Lines and renamed Pearl William. She was subsequently named Mar-Julia, Cesme Stern and Windward II. Viking II was built in 1964 by Kaldnes Mekaniske Verksted A/S, Tönsberg, Norway, for Otto Thoresen for service between Southampton and Cherbourg. During the winter of 1965, she was chartered to Atlantic Steam Navigation for services from Tilbury to Rotterdam and Antwerp. 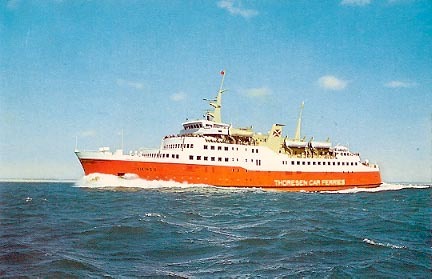 In 1968, Thoresen merged with Townsend to form Townsend Thoresen Car Ferries. She worked regular charters for other companies such as Lion Ferry and Stena Line etc. 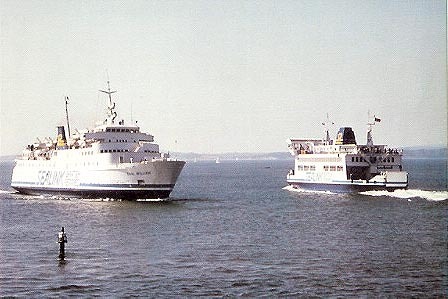 In 1976 Viking II was sold to Sealink British Rail and renamed Earl William for services from Portsmouth and Weymouth to the Channel Islands and Cherbourg. 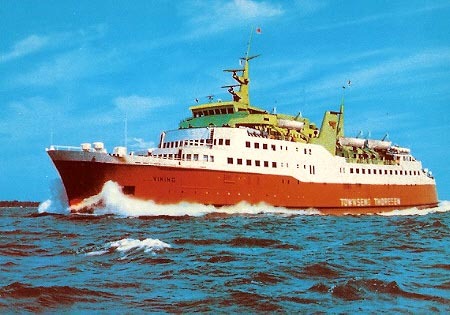 Official Thoresen postcard of Viking II. Published by J.Arthur Dixon. Photo by &COPY; Beken of Cowes. Coastal Cards postcard of Viking II off the Isle of Wight. Artaud postcard HN32 of Viking II at Cherbourg. IRIS postcard 1915 of Viking II at Cherbourg. EDICAP postcard 1737 of Viking II at Le Havre. La Cigogne postcard 76.351.254 of Viking II at Le Havre. 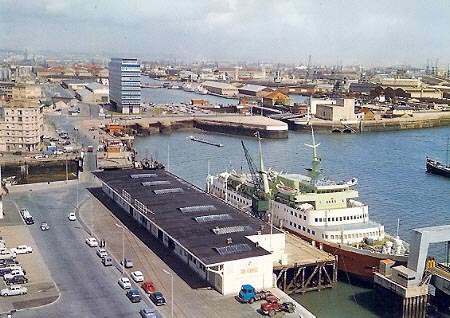 Yvon postcard 10/7650 of Viking II at Cherbourg. 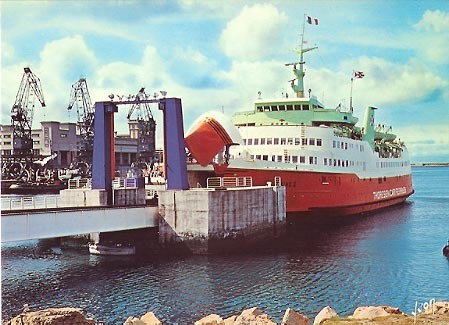 Artaud postcard XR151 of Viking II at Cherbourg. Artaud postcard XN150 of Viking II at Cherbourg. La Cigogne postcard 76.351.245 of Viking II at Le Havre. 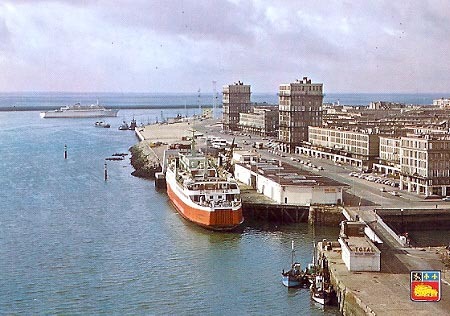 Bellevues postcard A69 of Viking II at Le Havre. Viking II was built in 1964 by Kaldnes Mekaniske Verksted A/S, Tönsberg, Norway, for Otto Thoresen for service between Southampton and Cherbourg. During the winter of 1965, she was chartered to Atlantic Steam Navigation for services from Tilbury to Rotterdam and Antwerp. 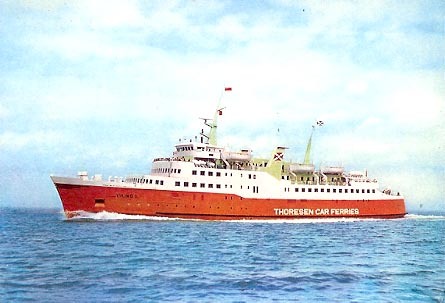 In 1968, Thoresen merged with Townsend to form Townsend Thoresen Car Ferries. 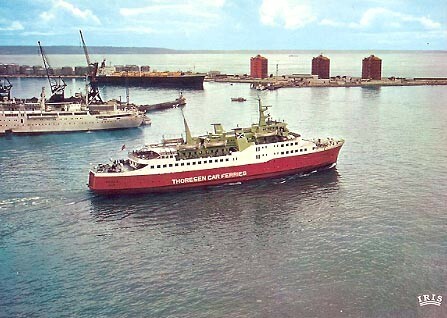 She worked regular charters for other companies such as Lion Ferry and Stena Line etc. In 1976 Viking II was sold to Sealink British Rail and renamed Earl William for services from Portsmouth and Weymouth to the Channel Islands and Cherbourg. Official Townsend Thoresen generic Viking card (actually Viking II). Published by Photo Precision, serial R3421. Purchased on Viking Victory, Portsmouth-Cherbourg, 15th August 1981. Cromo postcard 106/6 of Viking II leaving Zeebrugge for Felixstowe. In 1976 Viking II was sold to Sealink British Rail and renamed Earl William for services from Portsmouth and Weymouth to the Channel Islands and Cherbourg, initial route being Portsmouth-Jersey-Guernsey. Earl William operated briefly from Weymouth in May 1981, returning in summer 1982 for Weymouth-Cherbourg services. 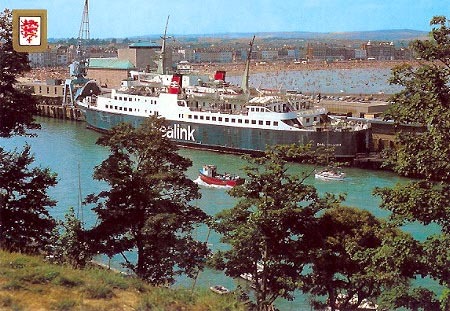 In 1984, Sealink ownership passed to Sea Containers, and in 1985 she moved to Weymouth-Channel islands routes. 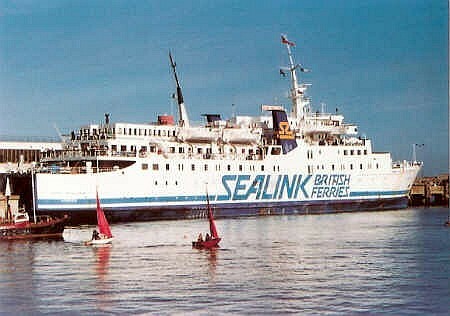 Competition from Channel Island Ferries (CIF) began at this time, ending the Sealink monopoly. 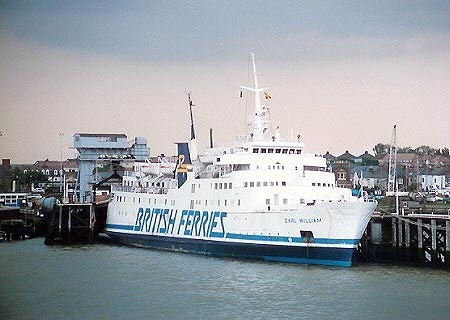 CIF rapidly gained market share, and it was announced that a joint service as British Channel Island Ferries would run in 1986. This never occurred due to strike action by Sealink crews. Earl William initially blocked the linkspan in St Peter Port (Guernsey), but she later moved to Weymouth. In 1987 Earl William was moved to Harwich for use as a detention centre for "illegal" immigrants. On the night of October 16/17th 1987, Britain was hit by a hurricane, and Earl William broke her 22 mooring ropes and ran ashore. The detainees were removed and housed elsewhere, whilst Earl William was repaired for a return to service. In 1988 Earl William opened a new, but short-lived, service from Liverpool to Dun Laoghaire. 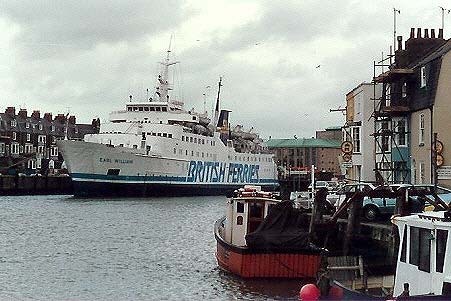 She was laid up again in 1990, but reappeared for occasional use on Folkestone-Boulogne and Holyhead-Dun Laoghaire. 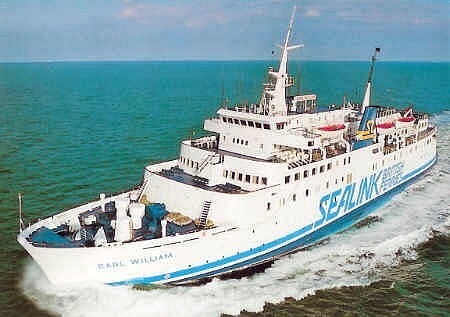 In 1992 she was sold to Neptunus Lines and renamed Pearl William. She subsequently served as Mar-Julia, Cesme Stern and Windward II. 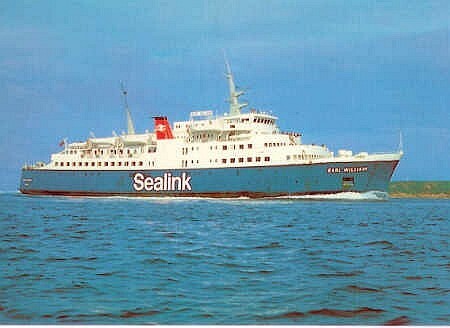 Official Sealink postcard of Earl William, in original Sealink (British Rail) colours. Ile de Jersey postcard of Earl William, no serial number. One of a set of 14 Channel Islands passenger ships. J.Perkins postcard of Earl William, serial number WY4. 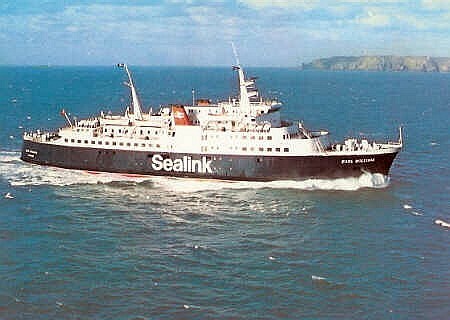 Official Sealink postcard of Earl William, in later Sealink (British Ferries) colours. Bob Morris postcard of Earl William, in later Sealink (British Ferries) colours. Two photographs of Earl William, plus Earl Harold and Earl Godwin, strike-bound at Weymouth in 1986. In 1987 Earl William was moved to Harwich for use as a detention centre for "illegal" immigrants. On the night of October 16/17th 1987, Britain was hit by a hurricane, and Earl William broke her 22 mooring ropes and ran ashore. The detainees were removed and housed elsewhere, whilst Earl William was repaired for a return to service. Photograph of Earl William, at Harwich, in use as a detention centre for "illegal" immigrants. 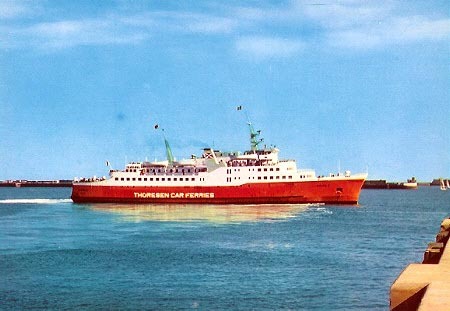 Chantry Classics postcard CC/S215 of Earl William, in later Sealink (British Ferries) colours. Photographed at Dun Laoghaire by &COPY; Terence Mitchell. 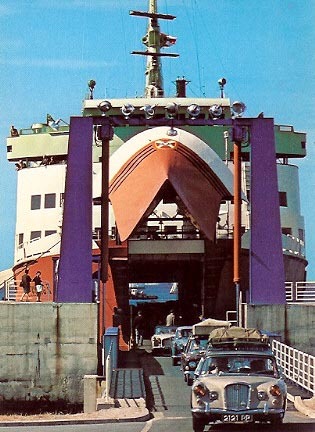 Ferry Publications postcard of Earl William, in later Sealink (British Ferries) colours. Seen leaving Dun Laoghaire for Liverpool. Note the Stena Sailor in the background (left). 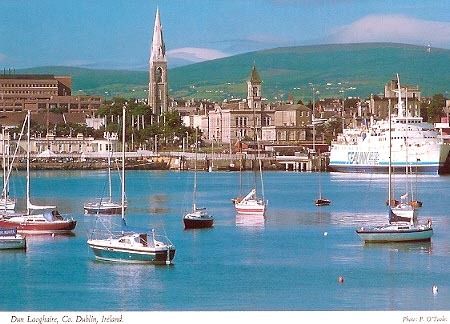 John Hinde postcard 2/81 of Earl William, at Dun Laoghaire in later Sealink (British Ferries) colours. 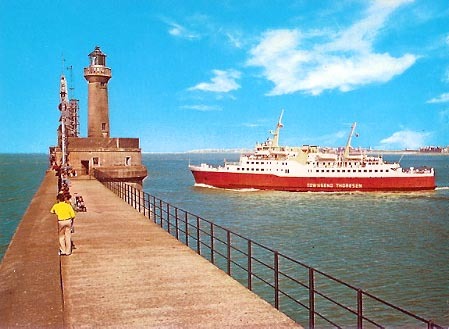 Simplon Postcards sp1073 (issued 11/1991) of Earl William, on temporary Holyhead-Dun Laoghaire service for Sealink-Stena Line. 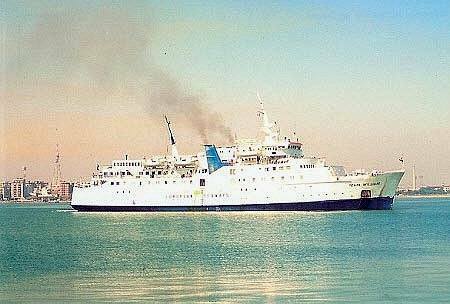 In 1992 Earl William entered service for Neptunus Lines between Bari-Igoumenitsa-Patras as the Pearl William. In 1993 she was chartered to European Seaways for the route Brindisi-Igoumenitsa, moving to Bari-Brindisi-Igoumenitsa-Pireus-Cesme in 1994. 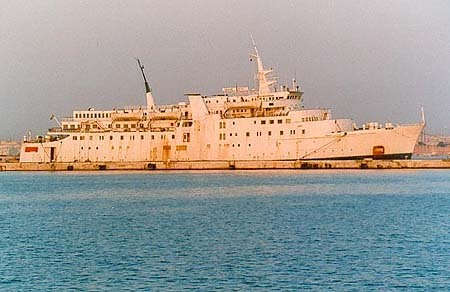 In 1996 she was sold to P&L Ferries Shipping Co, Valletta, Malta and renamed Mar-Julia for the route Brindisi-Igoumenitsa, later swapping to Thessaloniki-Istanbul-Odessa. Mar-Julia was sold again the following year to Lucky Shipping S.A., Kingstown, St Vincent, adopting the name Cesme Stern. 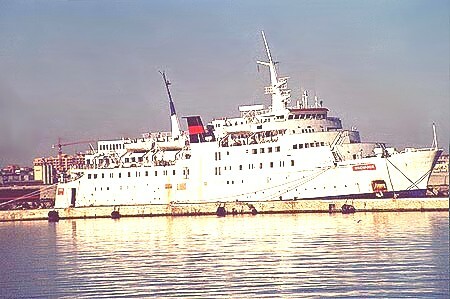 She entered service for Stern Lines between Bari-Cesme, but was arrested in July 1997. In 2000 she was sold to Windward Lines, Kingstown, St Vincent under the name Windward II. Ramsey Postcards 78 of Pearl William. Scan supplied by Fakta om Fartyg. Photo: &COPY; Martin Jensen of Cesme Stern. Photo: &COPY; Frank Lose of Windward II.